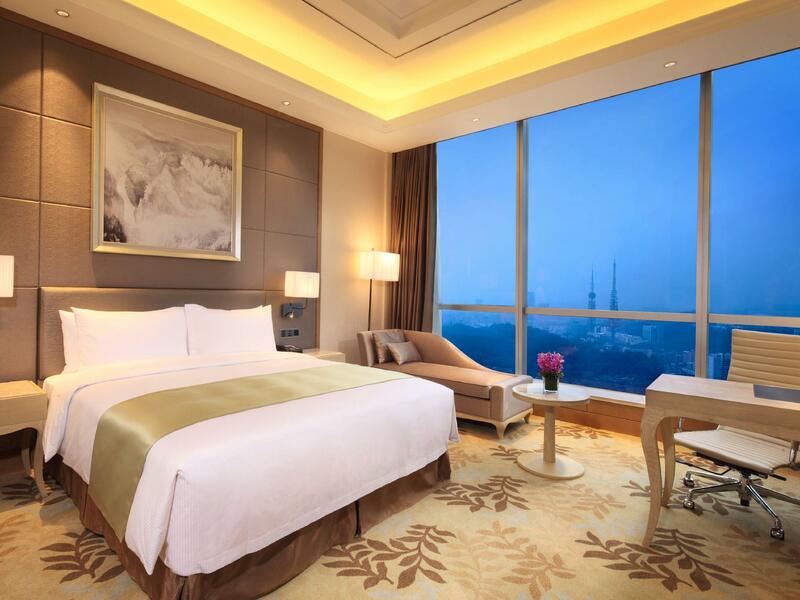 Heeft u een vraag voor DoubleTree by Hilton Hotel Guangzhou? Gunstig gelegen in Guangzhou, is het DoubleTree By Hilton Guangzhou een goede uitvalsbasis om deze levendige stad te ontdekken. Het hotel ligt 2 km van het stadscentrum en de belangrijkste faciliteiten zijn dus goed bereikbaar. Voor 'sightseeing' en lokale attracties kan men terecht in de buurt van het hotel, dat nabij Peasant Movement Training Institute, Guangzhou Yuexiu Maternity And Child Health Care Hospital, 3.29 Uprising Headquarter Site ligt. Bij het DoubleTree By Hilton Guangzhou staan de excellente dienstverlening en superieure faciliteiten garant voor een onvergetelijk verblijf. Terwijl u verblijft in deze geweldige accommodatie, geniet u van faciliteiten als 24-uur roomservice, 24-uur receptie, faciliteiten voor mindervaliden, bagageopslag, wi-fi in openbare ruimtes. Alle accommodaties beschikken over doordachte voorzieningen om een ongeëvenaard gevoel van comfort te garanderen. Hotelfaciliteiten als hot tub, fitnesscentrum, sauna, golfbaan (binnen 3 km) , zwembad (buiten) bieden alle gelegenheid om te ontspannen na een drukke dag. Met een ideale locatie en bijpassende faciliteiten, is het DoubleTree By Hilton Guangzhou voor veel gasten precies wat zij zoeken. Hotel puur om te slapen, maar okay te noemen. Alleen Guangzhou is ontiechelijk druk. En met de zomerse hitte en beklemmende smog is het een ervaring op zich. Thank you for having taken a moment to share your experience with us. We appreciate your comments on our hotel, which help us in our quest to further improve and provide a comfortable and enjoyable experience to our guests. And we are sorry for the breakfast problem you've mentioned. We will investigate and follow up accordingly. 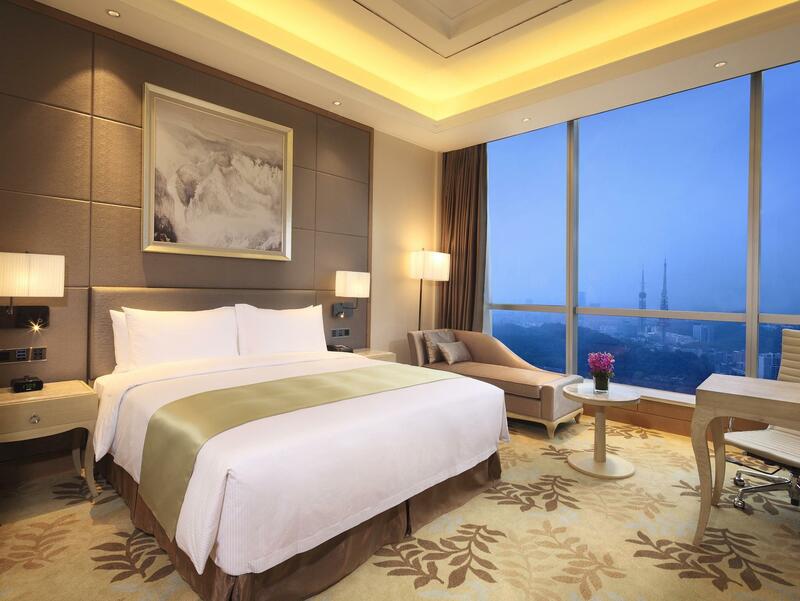 We look forward to an opportunity of welcoming you back to DoubleTree by Hilton Guangzhou! 1.The service is perfect, all the people who work in the hotel are very friendly and political. 2.The room is quite new,but the meeting rail of the window have some wart. 3. From my perspective, I think the breakfast should be improved especially the type of foods and pucka of food is very necessary. Dear Guest, Thank you for having taken a moment to share your experience with us. We look forward to an opportunity of welcoming you back to DoubleTree by Hilton Guangzhou! The hotel room was great and bed was comfortable, we had a very nice stay there. Thank you for arranging the NON smoking room for us. This is my first time that I'm staying at this hotel and I'm satisfied with my stay there with the qualities expected from DoubleTree. It is conveniently located with a short walk to metro station but there is a lack of eateries near the hotel. Dear Guest, Thank you for having taken a moment to share your experience with us. We appreciate your comments on our hotel, which help us in our quest to further improve and provide a comfortable and enjoyable experience to our guests. We look forward to an opportunity of welcoming you back to DoubleTree by Hilton Guangzhou! The nearest metro station is about 1.2km from the hotel and took us about 15-20minutes to walk. The hotel staff really did good job. You can always have their assistance whenever you needed. Will come back for a stay again if the metro is not the consideration. Dear Guest, Thank you for having taken a moment to share your experience with us.The nearest metro station is about 710m from the hotel and took about 10 minutes to walk. 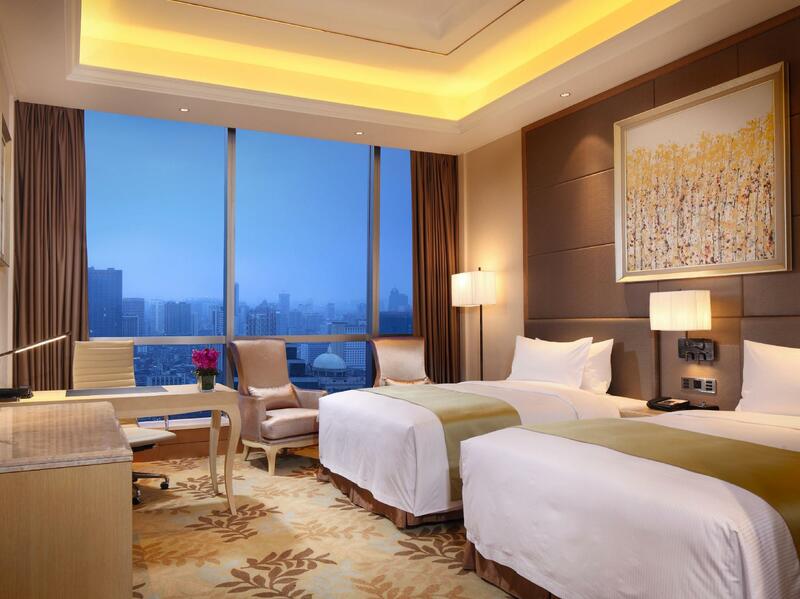 We look forward to an opportunity of welcoming you back to DoubleTree by Hilton Guangzhou! Is a nice and clean hotel, mrt station is just 13 minute away(walking), quite center on the mrt line, just a bit difficult to get a taxi,that is also lots of food stalls near by.Overall quite a good experience . Big room. Comfort beds and room decoration. Clean room and nice shower. 10 mins walk to beijing road and many small resto nearby hotel. Excellent service and friendly staff can speak english well. Will come back. 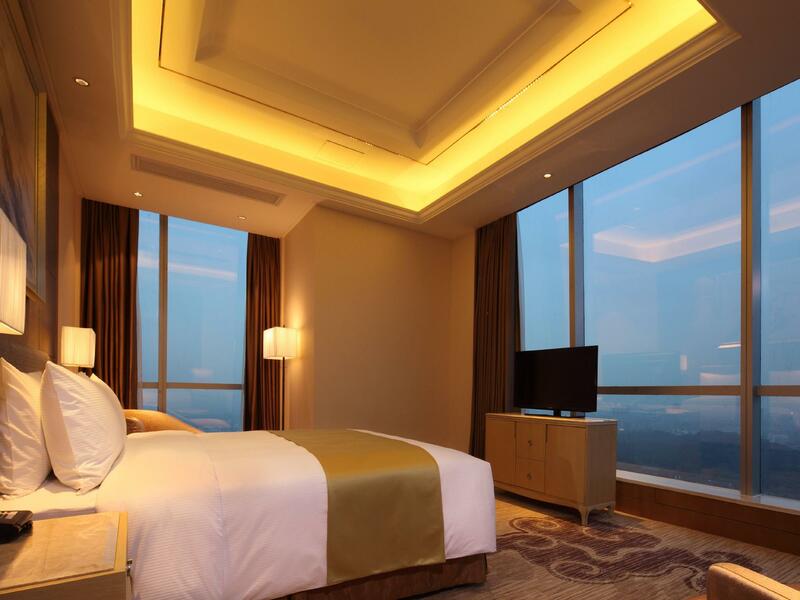 I'd been staying in Doubletree during my last three visits to Guangzhou for business. They serve fantastic breakfast and there are plenty of food to choose within walking distance. Although the room rates are getting more and more expensive, I'll definitely stay in Doubletree again. We stayed thare as a late night stopover, next day we were out. Found it to be very efficient, and as usual the service was very good. Being Doubletree they do look after you i must admit. The rooms were a little dated for hilton doubletree standard, could do with a renovation i think. i would probably stay in a newer hotel next time. My stay was amazing. The beds were so comfortable it knocked me out when I usually don't. The entire compound was so clean and new. Best of all, for the price you pay, you get all these five star amenities. So worth it. Comfortable room, good staff performance, great value. It was a great experience staying in Guangzhou Doubletree by Hilton. The hotel has outstanding staff, perfect room and great value for the money spent. 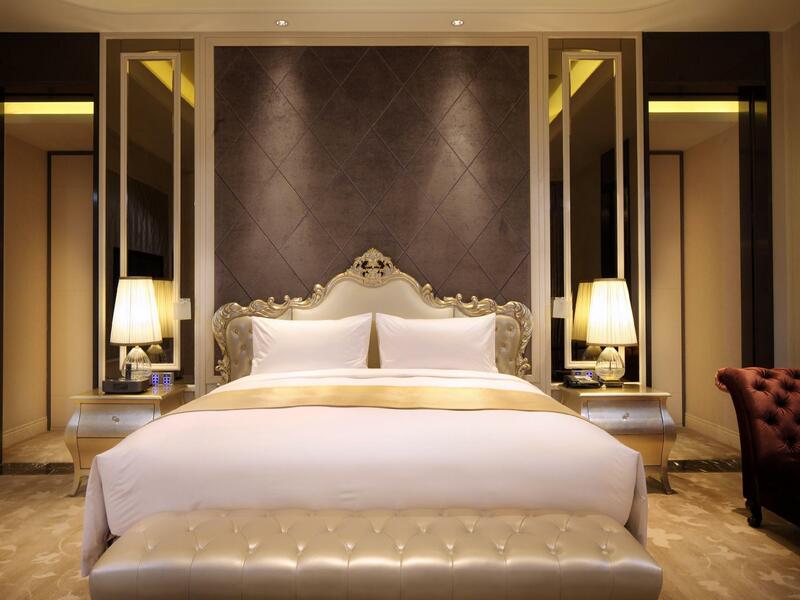 I'll definitely stay in this hotel again the next time I visit Guangzhou. sense, empathy, and genuineness. There's the phrase "hospitality personality," which goes further than cheerfulness. That's important, but so are natural kindness, graciousness, humor, and joie de vivre. A person who quietly makes guests feel comfortable and important. A great, five-star hotel employee also thinks things through. He or she has a sense of priority, attention to detail, practicality, follow-through and efficiency." You could boil all this down to the question: does the guest feel that a hotel staffer really cares about them? Sadly, I'd say that this happens 10% of the time. Dear Guest, Thank you for having taken a moment to share your experience with us. We appreciate your comments on our hotel, which help us in our quest to further improve and provide a comfortable and enjoyable experience to our guests. And we are sorry for the problems you've mentioned. We will investigate and follow up accordingly. We look forward to an opportunity of welcoming you back to DoubleTree by Hilton Guangzhou! The wifi networks are very bad. Hope the management can improve on this area as we had feedbacks to staffs numberous of times. Not very good for business man who stay here. Dear Guest, Thank you for having taken a moment to share your experience with us. We appreciate your comments on our hotel, which help us in our quest to further improve and provide a comfortable and enjoyable experience to our guests. And we are sorry for the slow wifi speed you've mentioned. We are updating our networks system and will provide more convenient stay for our guests. 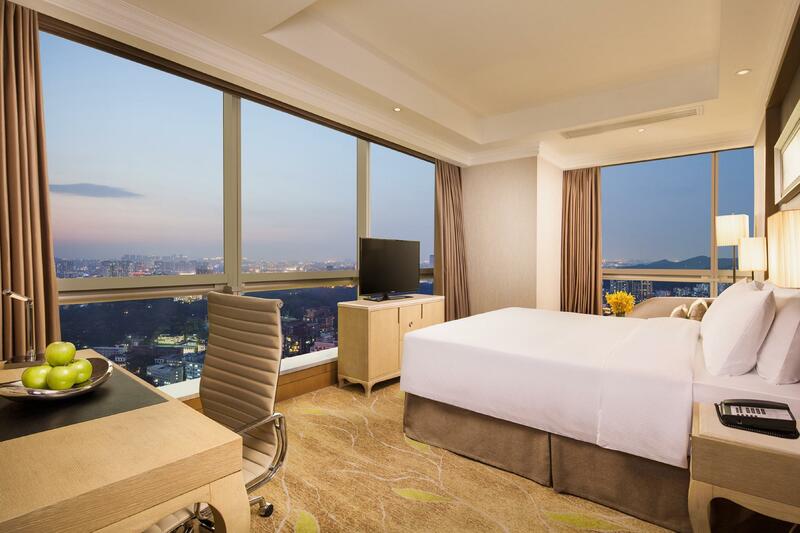 We look forward to an opportunity of welcoming you back to DoubleTree by Hilton Guangzhou!